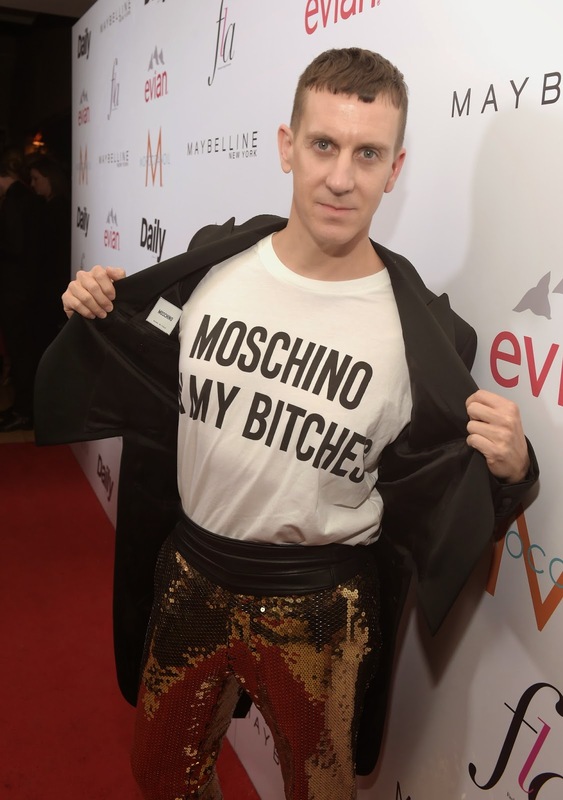 Jeremy Scott was honored as Womenswear Designer of the Year at the Daily Front Row’s First Annual Fashion Los Angeles Awards hosted at the Sunset Tower Hotel in Los Angeles, California. He received the award for his continuous creative contribution and artistic initiatives for his eponymous line, besides being Moschino creative director where he was able to reinterpret the original DNA of the brand giving it international exposure. Jeremy Scott is also known for his personal relationship with international celebrities. At the FLAs he was accompanied by Rihanna, Katy Perry, Miley Cyrus and Liberty Ross who were all wearing Moschino Couture dresses. Many lovely celebs in attendance. You may want to also view our recent fashion blog post about the new Moschino boutique in West Hollywood. Jeremy had his hand in the design of that new store. View some of our other fabulous fashion blog posts about celebrities here on the Apparel Search fashion blog.